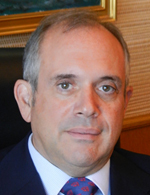 Dimitrios Fafalios has been President/Director of Fafalios Shipping S.A. since 2008. From 1984 to 2008, Mr. Fafalios has held various positions in Fafalios Ltd. London, including Technical ?anager, Technical Director with responsibilities for vessel Maintenance, Newbuildings, S&P, and Technical support for Chartering, Insurance, Post-Fixture, Finance and other departments. He has worked closely with many of the major classification societies and International Organizations for rule development and implementations. Mr. Fafalios received his Bachelor of Science degree in Naval Architecture and Ship Building from the University of Newcastle upon Tyne in 1980 and Master of Science in Ocean Systems Management from MIT in 1982.